Der Artikel God's Army A. D.: Demoncracy wurde in den Warenkorb gelegt. God’s Army has absolutely nothing to do with religion and everything to do with music. Their sound can be described as a good mix of traditional Rock and Metal, NWoBHM, on their new album more progressive than the predecessor with a shot of adrenalin and a dash of melodic rock sensibility with catchy chorus lines and melodic hooks which has helped develop a sound that has attracted attention from many different sources. Today, consisting of John A.B.C. Smith on Bass & Lead Vocals, Mark Cross on Drums, Ian O’Sullivan on Guitar and the recent addition of Eddie Van Dahl as second guitar player. The creative process for the second album has been completed after a long battle stumbling through 4 different studios to get to its final result. 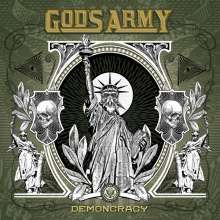 With their second album ‘Demoncracy’ God’s Army have delivered a tour de force in modern metal. If you like a message in your music, you’re gonna get one here! Here is a band that refuses to bow to trends. 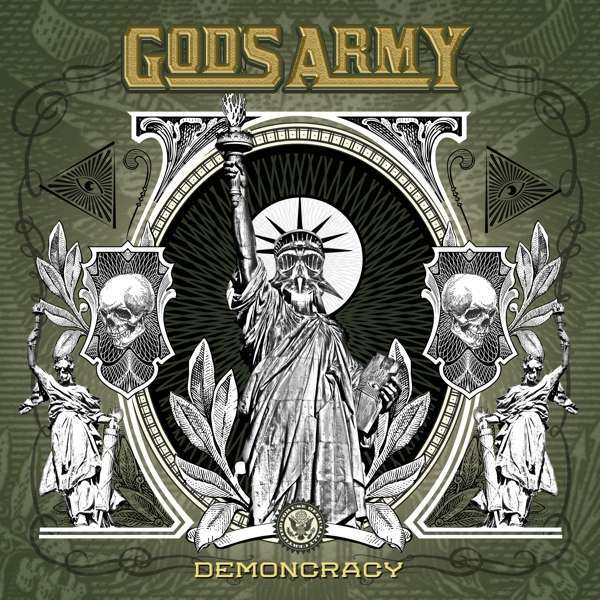 Mehr von God's Army A. D.